1. 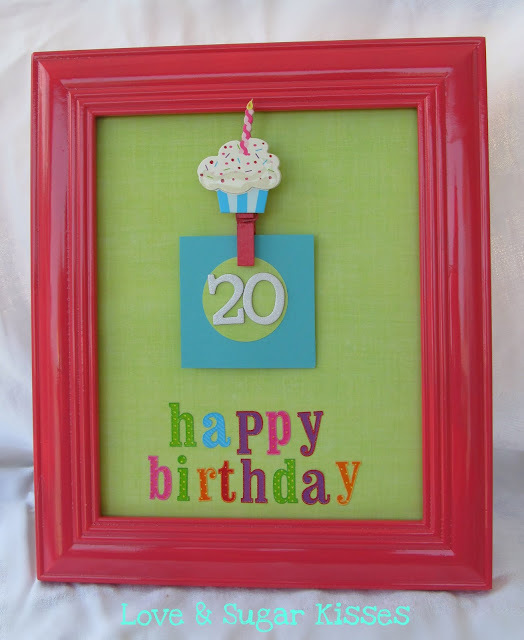 This Birthday Countdown Frame from Love and Sugar Kisses is so cheerful and cute. What a great spin on a countdown! I especially love the watermelon color of the frame. 2. 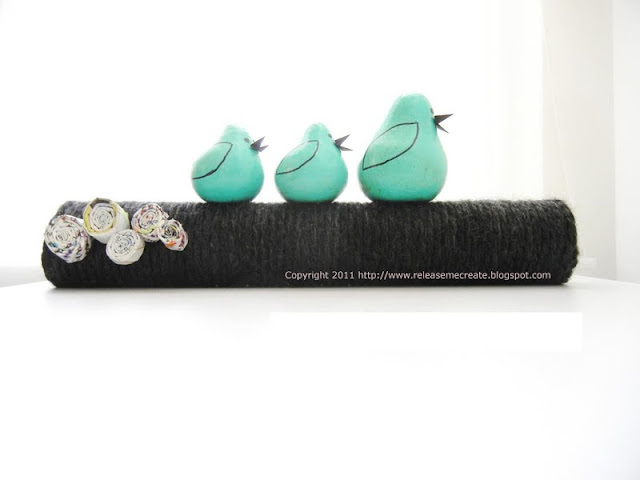 This Perched Birdies Decor from Release Me is just darling. You won't believe how she made this- tutorial included if you want one of your own! 3. This Chevron Heart Canvas from Thrifty and Fabuless is not only adorable, it's right on trend. Chevron stripes are huge right now, and this makes it even sweeter. Thank you so much for featuring the chevron heart I painted for my daughter! You made my day! I think I get most uninspired like you say when I'm actually over-inspired sometimes! I know that makes no sense, but when there are so many great things I see out in blogland and so many ideas in my head swimming around, I get in overkill mode or something and just can't even begin anything! Looks like your vacay was fun too! I loved Chichen Itza and Tulum when we went to Mexico several years ago! Thank you so very much!! I am proudly sporting your button!!! !